Enhance your face, enhance your life. Tired of looking well…tired? Dr.Aguilar can help you reclaim time with a facelift. If you ever considered the procedure or doing your early planning, keep reading for everything you need to know about this surgery. The technical name for a facelift is “Rhytidectomy.” In this surgical procedure, excess face and neck skin are removed and the tissues under the skin are tightened. Activities such as smoking, sunbathing, outdoor activities, and stress can alter the appearance of the face. Additionally, as we age deep creases may form between the nose and mouth, the jaw line may from slack and sag, and fold and fat deposits may appear around the neck. 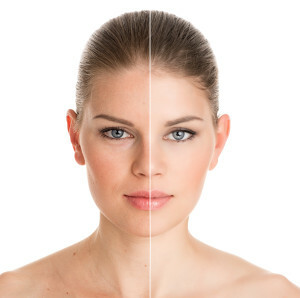 A facelift can reduce these signs of aging, resulting in firmer, fresher appearance. WHO IS A GOOD CANDIDATE FOR A FACELIFT? Candidates must be in good health, have no active diseases, or serious pre-existing medical conditions, and must have realistic expectations of the outcome of the surgery. Facelifts are most commonly performed on patients between 40 and 60 years old, all while producing good results for people from 60 to 80 as well. If you have strong, well-defined bone structure and some skin elasticity, you are most likely to have good results from a facelift. NOTE: You may not be a candidate for surgery if you smoke, have recently quit smoking, or if you are exposed to second-hand smoke. Primary and secondary smoking decreases blood flow to the body’s tissues. This can result in prolonged wound healing, skin loss, infection, increased scarring, and a number of other complications depending on the kind of procedure performed. The type and size of facelift depends on location and extent of skin laxity. Sizes range from “mini” to “standard.” Usually, an incision is made in the hair near the temple and continues to font of the ear, around the earlobe, behind the ear and into the hair. The muscles and sagging tissues are tightened and excess skin removed. The remaining skin is repositioned to create a more youthful look. The incision is closed with sutures, or with metal clips on the scalp. A small incision may be made under the chin if a neck lift is needed. First, schedule a personal consultation with Dr. Aguilar. Communication is vital in reaching your goals. You will have the opportunity to discuss your goals and the results you would like to achieve. Dr. Aguilar will work with you to reach an understanding about what you can expect from this procedure and what long-term benefits you will experience. Every patient is different, and Dr. Aguilar will choose the surgical technique and treatment plan that is right for you, during your initial consultation. •Provide a complete medical history. Include information about any previous surgical procedures; past and present medical conditions; and all medications or herbal supplements you are taking. •Expect Dr. Aguilar to examine your abdomen, including the quality of your abdominal skin, the location of any existing scars; the amount of any excess fat and the status of underlying muscles. •Photographs will be taken for your medical record. •Be prepared to discuss possible risk and complications of the procedure with Dr. Aguilar. You will be given specific instructions on how to prepare for your surgery. A pre-operative information packet will be provided that explains everything you should do and know before your surgery date. Avoid taking aspirin, anti-inflammatory drugs, and herbal supplements as they can increase bleeding. Dr. Aguilar will give you specific instructions on how to prepare for surgery, including guidelines on eating and drinking. You should arrange for someone to drive you home after your surgery and stay with you for at least one or two days. After your facelift, you will be covered in bulky bandages to minimize bruising and swelling. A small tube might be placed under the skin behind one or both of your ears to drain any excess blood or fluid. Rest your head elevated and take pain medication as recommended by Dr.Aguilar. Avoid any exposure to your incisions to excessive pressure and motion. You might prefer to remain home while you’re recovering from a face-lift because you will have to avoid unprotected sun exposure until your scars are no longer pink. A week after your face-lift, you can begin using makeup to the edge of your scars to conceal any redness or bruising. While the length of recovery varies it is best not to plan any important social engagements until about six weeks after the surgery. Dr. Aguilar will also discuss further after-care tips during your consultation. 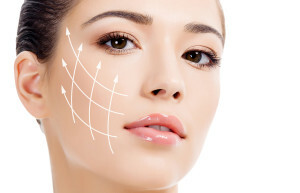 Dr. Aguilar Offers the Benefits of Facial Tightening Through Chemical Peels to the Houston Community. Houston, Texas. Dr. Fred Aguilar Offers Mini Upper Facelifts to Improve the Effects of Aging.